As a former lawyer, I was sure Tom De Pelet would have protected his IP. He entered the Den looking for an investment in his product, Hornit. A unique little device, the Hornit (alongside its little brother, the Mini Hornet) is the loudest cycle horn on the market. Tom looking for an investment in his product, Hornit. Tom explained his two biggest markets were the US and China. It wasn’t long before Kelly Hoppen pounced with the killer question – was the product patented? To my relief, Tom confirmed that he had an application in progress. Yet the rest of his response was a little more subdued. I’ve got a patent application in the process at the moment but if someone copied me I’d have to have fairly deep pockets to go after them. As we mentioned in a previous blog post, patents are the most difficult form of IP to get. As Tom implied, disputes can arise from time to time but when they do, costly court action is a last resort. Mediation is an alternative form of dispute resolution that can solve issues without going to court. It’s cheaper and quicker than litigation and the outcomes usually benefit everyone involved. If court action is necessary, reforms to the Intellectual Property Enterprise Court have made it easier, quicker and cheaper to enforce and defend your IP. If you have any issues enforcing or defending your patent, it’s always advisable to seek advice from an IP professional before taking any action. The issue of protectability was first raised tonight when Andrew Jewson and Gary Patterson entered the Den with Jackpen – the innovative writing solution for mobile users. My first impression was that this was a gimmicky product with a small customer base. A view which some of the Dragons seemed to share. It would be interpreted as not in breach of a patent. A quick check shows the duo have filed for an international patent, which will give them protection in specified countries. Without knowing any more details of the exchange with Duncan, it’s unclear what his concerns were. But to me, it seems like they’re on the right track to protect their product. Despite protecting their IP, neither Tom nor Andrew and Gary could convince the Dragons to part with their cash. A patent protects an invention in the country where it’s granted. If you have an invention that you plan to sell or license abroad, you should consider overseas protection. If you don’t, anyone outside the UK could make, use or sell your invention. You can protect your patents overseas with an EU or international patent. In Tom’s case it looks like his patent is a UK patent, so Hornit will only benefit from the rules of patent protection in the UK and not overseas. The international patent application filed by Andrew and Gary for Jackpen will allow them to choose the countries in which they want protection. Once granted, they will be able to stop other people copying it in those countries. It will also allow them to licence the patent to others in those countries if they wish. With only one investment made, it was a tough night in the Den. Congratulations to all the entrepreneurs who braved the Dragons. Do you think you’ve invented the next Dragon-worthy product? Do you know if you should protect it with a patent? Our free online IP Equip course can help you learn more. How can you have a patent on a pen that fits a phone? Surely if you just do a re design on the product - altering it by a percentage - it breaks IP protection. JP did not invent the pen or the phone. That aside, the problem is it is a product no ne needs. It would be cheaper to buy a proper pen than a pack of Jack pens and if you really wanted a pen with your phone (why?) a better solution would be to have a phone case that stores a pen. That way the earphone jack could be used for what people want to use it for - plugging in headphones. 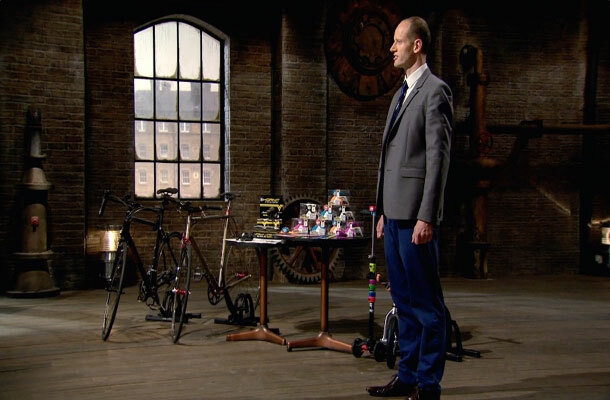 £25k was meaningless - I suspect the owners of Jack pen went on Dragons Den for free TV publicity - without checking their website I'm guessing 'As seen on TV' or 'As seen on Dragons Den' will feature on the advertising. True a patent may be easy to get around and so what might the value be? I guess my thinking is it will deter the majority and you're unlucky if someone is determined enough to risk a re-engineering job. Hopefully by the time they've gone down the manufacturing route, the original inventor has made their pile. So it's a case of innovating and marketing with speed. The need? It may not be obvious if you are fabulously organised ;-). Personally I use these pens. I have a business where I need to keep a track of stock and I always end up in the stock room with a notebook but no pen! I don't have to dig around to find one. It's always in my phone. And my phone is ALWAYS with me. Same goes for writing emergency birthday cards, signing cheques, filling in addresses at the post office or writing something on a business card someone just gave you. Nice work Andrew! Timely and sound advice...any product which is likely to be a money spinner and "innovative" enough to be eligible for IP protection should be protected in order to make the most of the gains from sales and to fend off copycats which could harm your brand in future.